The Parliamentary Commissioner for the Environment warns we should be prepared for insurers to start making it harder for property owners to get cover for damage caused by the sea. Jan Wright says the Australian parents of the insurers that operate in New Zealand have exclusions for sea damage in their policies across the ditch, so it could only be a matter of time before they make similar moves here. Insurers already include exclusions for erosion, another common natural hazard associated with coastal properties, in their home insurance policies here. Wright maintains that sooner or later insurers will also start hiking premiums for properties at risk of being damaged by the sea. “Insurance is about the unforeseen and the sea level rise is moving into the foreseen space. It’s somewhat different from a normal natural hazard,” she says. Wright, in November last year, released a major report saying that while sea levels in New Zealand have largely been rising in line with the global average of 20cm since around 1900, they’re expected to increase by 30cm between now and 2065. A “one in 100 year” coastal flooding event is accordingly expected to occur every four years at the port of Auckland, every year at the Wellington and Christchurch ports, and every two years at the port of Dunedin. Wright’s report also includes maps identifying at least 9000 homes that lie within only a half a metre of spring tide levels. Nearly 2700 of these are in Dunedin, while 1300 are in Napier. She acknowledges that as climate change risks escalate, insurers will adjust their exposures to these risks accordingly. He says increasing the minimum excess a customer has to pay will typically be an insurer’s first response. From there they could increase premiums or exclude cover as a last resort. “We underwrite insurance policies according to the specific risks that apply, so when insuring a home that has an identified coastal hazard, we would determine the most appropriate terms to apply to that policy with this information in mind. “Terms we might apply to a policy could include restrictions regarding rebuilding costs or a higher premium. It would only be in extreme cases that we would decline cover. Grafton confirms some insurers responded to falling land caused by the Canterbury quakes by increasing their minimum excesses for flood damage to $10,000. These would otherwise usually be between $500 and $1000. He also recognises insurers are hesitant to write new policies for properties in the likes of some coastal parts of the Hawke's Bay and the Wairarapa Coast that are prone to storm surge damage. Wright says the Lloyds of London chair has also told her it has sea damage-related exclusions in its policies around the world, while Willis Re senior managers are “thinking about it very actively. I can say that with assurance”. Yet Wright recognises: “It’s not all about wealthy people who are insured and who can afford to lose things. She references the 5000 South Dunedin homeowners who have recently suffered flood damage, largely due to the town’s drainage system not being property maintained. “When is it your responsibility? Who cops it? Who’s in the front line? People who are now along the coast - if it starts to be a bit of a problem - will happily sell their homes to people who might not know the risks. Grafton points out there are already some backstops available, with EQC providing land cover for loss of land within 8m of a residence and up to 60m in terms of the ground access-way to the property. Provided the property has fire insurance, EQC cover will kick in for damage to land and land loss, which would be the first sign the property was going to get flooded. He says the Insurance Council has not suggested expanding ECQ’s brief to cover climate change associated damage, in its submission on the EQC Act review. Rather, the focus should be on adaptation measures to mitigate the risks. The Council has however urged the government not to pull back on land cover as it has proposed. Wright says Local Government New Zealand has suggested a government body like EQC be set up to deal with risks associated with rising sea levels. “Of course it is a form of public insurance, which could be a way of spreading costs that have to be paid,” she says. She points out that had EQC not have been collecting money over time, we would’ve been in a very different position following the Canterbury quakes. Both central and local government are discussing these issues and Wright envisages a working group of public and private sector people to be led by Treasury. Roberts says IAG is keen to get involved in such a group, and is already actively engaged in conversations with politicians and officials about a “possible long-term insurance response” for parts of the country more vulnerable to the impacts of climate change. Wright and Grafton recognise banks are also in the business of risk, so will be considering how rising sea levels will affect their exposures. “I think it’s quite fascinating - the mismatch between insurance that’s renewed yearly and mortgages that last for thirty years. That’s the sort of thing they need to think about,” Wright says. In other words, insurers have much more flexibility to adjust their exposures, than banks which provide long-term mortgages. “Maybe banks have in their mortgage clauses ways out of the situation, but it’s really a question for the buyer of a property to be purchasing with eyes wide open around their mortgage commitments and future insurability,” Grafton says. Grafton would accordingly like to see more of a property’s risks identified on Land Information New Zealand's database, so buyers are more aware of what they’re getting themselves into. He recognises this is something property owners haven’t been keen on. As the supply of housing ramps up in Auckland, he is aware questions have been raised over the quality of work being completed. Auckland Council’s building control manager, Ian McCormick, has told Interest.co.nz that up to 40% of home inspections are failing. She supports the Productivity Commission’s call to have a separate Urban Planning Act, as she maintains the Resource Management Act isn’t dealing with urban planning very well. Issues around affordable housing and climate change simply didn’t feature when the RMA was created. What a load of neurotic nonsense. Beach properties are no longer the cheap little batches they used to be. Why should government compensate people who have spent millions on beach properties where erosion/ flooding will always be more likely? How many of these properties are owned by foreign investors? We don't even have a capital gains tax. Protect the rich property investors/ banks and everyone should share in the cost.....yeah right! "The Royal Society of New Zealand has released a study claiming that, in the next hundred years, New Zealand sea levels will surely rise by 0.3 m and 1 m is possible. It strongly recommends that we should be taking action now to deal with this." The Royal Society claim does not stand up to close examination. First, the rise in sea level and New Zealand coast has been about 0.14 m over the last 100 years with no sign of a recent increase in the rate. "From our reconstruction, we found that the Arctic mean sea level trend is around 1.5 mm +/- 0.3 mm/y for the period 1950 to 2010, between 68ºN and 82ºN. This value is in good agreement with the global mean trend of 1.8 +/- 0.3 mm/y over the same period as found by Church and White (2004)." Flooding down at Auckland port every four years, and some numb nuts thought it is a great Idea to build an underground train tunnel at britomart that potentially will be flooded. This is not a new nor unsolved problem. Florida has been losing vast tracts of land and the world still goes on. Some councils will raise rates on seaside properties to take mitigating actions. Standard/run of the mill insurance will probably be drop this cover following a large storm surge. Cover will still be available through specialist insurers eventually only on a parametric basis but most folk won't buy it. Banks will address the risk of seaside property resale values falling by charging higher interest rates / reducing 30 year terms / not offering mortgages for certain seaside properties. The last time atmospheric CO2 was around 400 ppm sea levels were around 23 metres higher than present. 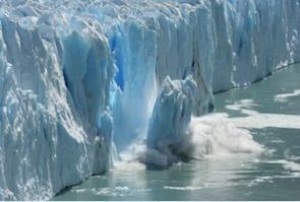 The Earth is still catching up with the effects of past emissions: it takes quite a while to melt ice sheets and transfer heat into the oceans. And. of course, emission remain unabated, leading to surging well past 410 ppm next year. is still on track for a record low later this year, with all the ramifications of that. Predictably, many (most?) people prefer to live in a fact-free world. As with every other aspect of life continually made worse by government policy, the full effects sea level rise will take several decades to manifest. 'Cooking up nicely' yeah right Truthie. Greenland SMB has been above the '90-'13 average all year! And an El Nino year to boot. You need to find something else to scare the children with Truthie and perhaps stop making stuff up. 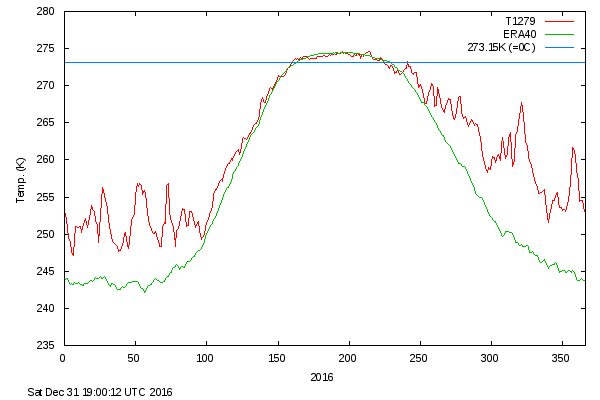 Arctic ice volumes back to average and Artic temps on the 58-16 average. How boring. "Tim Grafton (Insurance Council CEO) points out there are already some backstops available, with EQC providing land cover for loss of land within 8m of a residence and up to 60m in terms of the ground access-way to the property." There is now indeterminate EQC land cover provided. Despite the glossy EQC brochures indicating the extent of property owners land which is covered for remediation after EQ damage, in Christchurch, EQC was able to persuade the High Court that these provisions in the act could be replaced instead, with an amount paid out for Dimunition of Value (DoV). This loss of value was assessed by an Auckland company using nation wide land value drops, following the Christchurch quakes. Naturally, these value drops had no relevance to actual land value drops in Christchurch. This decision by the High Court has allowed EQC to walk away from any land remediation work and instead make a payout to land owners which is well below the true costs of land remediation. Typical payouts have been in the range of 10-20% of true land remediation costs. This is, no doubt, the policy which EQC will employ in future disasters regarding land cover. In NZ today, you only think you have Insurance.